Marcin Gortat has signed a 5 year deal with the Washington Wizards, so he is pretty much here to stay. So let's take a look at some of the things that you may not know about the Polish Machine. Meet Marcin Gortat's Baby...Catrina. 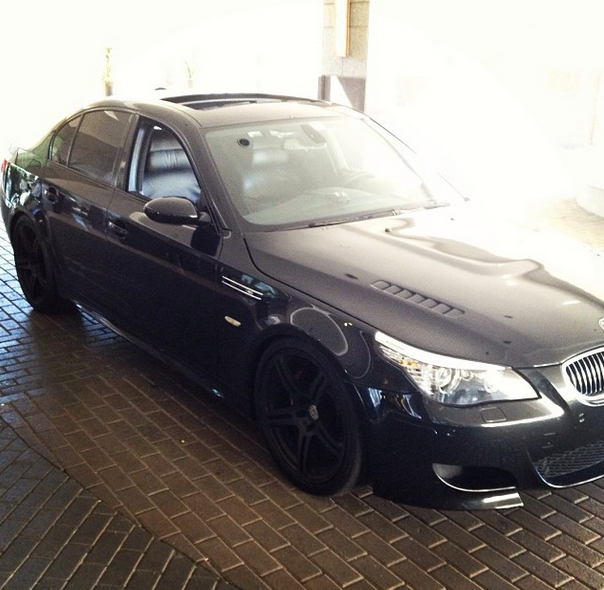 Catrina is Marcin Gortat's 800 Horsepower Sapphire Black 2008 BMW E60 M5 (Boosted V10 engine with a G-Power SKII Twin Supercharger). The Polish Machine bought this German machine after seeing it with Paul Walker in a Fast & the Furious movie and it helped him gain a little notoriety early in his career as he was known as the guy with the fastest and loudest car in the NBA. And after sinking an additional $150,000 (and months and months of time) to boost the car after purchase, it probably deserves a name. The car was so loud, according to onet, that he had to keep the car at his home in Orlando when he was traded to Phoenix because it was so loud he was waking up his neighbors. Tat claimed the car sounded like a tank and woke up half his building. "From the outside and to the untrained eye it looks factory, but floor the gas pedal and it will blow most supercars out of the water"
And looking at that video he is right. Gortat has upgraded his car collection in the recent years, and will most likely pick up a few more with his $60 million, but the amount of work and money spent on Catrina will most likely always make that car special for Gortat.